Several major banking and financial institutions have recently identified the need for further education and tailored training in the trust management job market. Dakota Wesleyan University is now offering a program to prepare individuals for this high-need and growing industry. Courses are designed to strengthen oral and written communication skills, enhance an understanding of wills, trusts and estates, and sharpen knowledge of financial and digital efforts. "No one goes to school thinking, ‘I want to be a trust officer,’ until now! According to the American Bankers Association, in the next five to 10 years, the trust industry will encounter a retirement wave of trust officers as baby boomers leave their careers. The task of filling empty positions is challenged by the growth of the trust industry itself. Trusts & Estates magazine, January 2018, ranks South Dakota the highest ranked jurisdiction in the United States in all categories. There is a need in our state for trained trust professionals, and the need is now. I would encourage students in South Dakota to pursue a rewarding, yet challenging, career in trust where you have the opportunity to learn this kaleidoscopic combination of skills: financial planning, fiduciary and trust administration, investment management, ethics, and tax law and tax planning. South Dakota offers domestic and international opportunities with the variety of trust companies we have in our state. Dakota Wesleyan University’s trust program is a response to the need in South Dakota and trust industry as a whole." 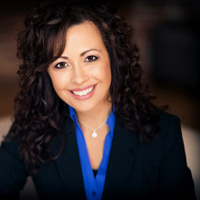 Jessica Beavers, senior vice president and trust officer, Sawmill Trust Company, Sioux Falls, S.D. Offering a well-blended mix of online coursework with onsite networking and mentorship opportunities. The curriculum is designed to provide students with specific skills while building a network of employers prepared to offer opportunities. Coursework is divided into six courses over 12 months, offering students the flexibility of working full time or part time. This course provides foundational knowledge regarding the legal theories, methods and mechanics of property transfer. Students will learn about the different types of property, property interests and ownership rights and responsibilities that the law imposes upon them. The course will cover the concepts of intestate succession, non-probate transfers, wills, trusts, estates, fiduciary administration and many others relating to the legal requirements of property transfer. This course is designed to provide students with a comprehensive understanding of the many elements and intricacies of the wealth management process. Students will learn the art of developing an overall wealth management strategy for their clients, formulated from: 1) constructing client specific goals and constraints; 2) gathering data through the interview process with their clients and subject matter experts; 3) understanding the concepts of investment theory, asset allocation, portfolio management theory and investment selection; and, 4) following an integrated approach that incorporates all aspects of wealth management including the concepts of estate planning, taxation, insurance, retirement planning and fiduciary law. This course is a study of the common law, statutory law and regulatory frameworks that cover the duties and responsibilities imposed on fiduciary professionals who act as a personal representative and/or trust administrator. This course will develop a student’s understanding of the interplay between the legal duty to follow the terms and conditions of a valid legal document, creating a trust/estate, but doing so within the confines of a complex legal framework. This course will provide the student with a working knowledge of the many different types of retirement planning arrangements that are available to their clients. The course will cover the main attributes of the different arrangements; legal requirements for establishing and maintaining them; the tax and planning advantages and disadvantages of each type of arrangement from the perspective of the provider of the plan and the participant in the plan; and finally, distribution strategies that are available to participants in these arrangements. This course discusses the various taxes that may impact the transfer of property from one party to another, during lifetime, at death or through postmortem planning. It will cover the historical origin of these various taxes, the modifications that have occurred over time and how they are applied currently. The course will also discuss planning techniques used by practitioners to mitigate the effects, or legally avoid the impact, of these tax laws on the estates of their clients. This course is designed to create in the student an awareness of, and a deep commitment to, the fiduciary standards of care and ethics that are required for professionals who are invited into relationships of trust with their clients. The course will cover professional customer relationship management techniques, customer service standards, and communication skills needed to communicate appropriately with clients, subject matter experts, such as attorneys, investment advisors, bankers, etc. and other individuals who are part of the client’s relationship circle. Further, students will gain understanding on the nuances of marketing fiduciary services through relationship based selling techniques, needs based selling approaches and personal selling techniques that are tailored to the unique world of comprehensive wealth management within a fiduciary framework. Previous coursework, such as Business Law I, Business Law II, Business Ethics, and Understanding Wills, Trusts, and Estates, may be preferred but not required. Applicants will be admitted to the program based on undergraduate performance, background check, application essay and application interview. Looking to get your master’s degree? Check out our MBA program with a concentration in trust management!